A recent string of gigs have revealed some choice Scottish phrases that I feel are essential to the successful running of any technical rehearsal. If only to lighten the mood when, for the fifteenth time in the day, the SAME DIMMER SWITCH HAS TRIPPED FOR NO APARRENT REASON!?! And that adorable picture of Ryan Gosling from standbyheygirl just isn’t doing it for you anymore. 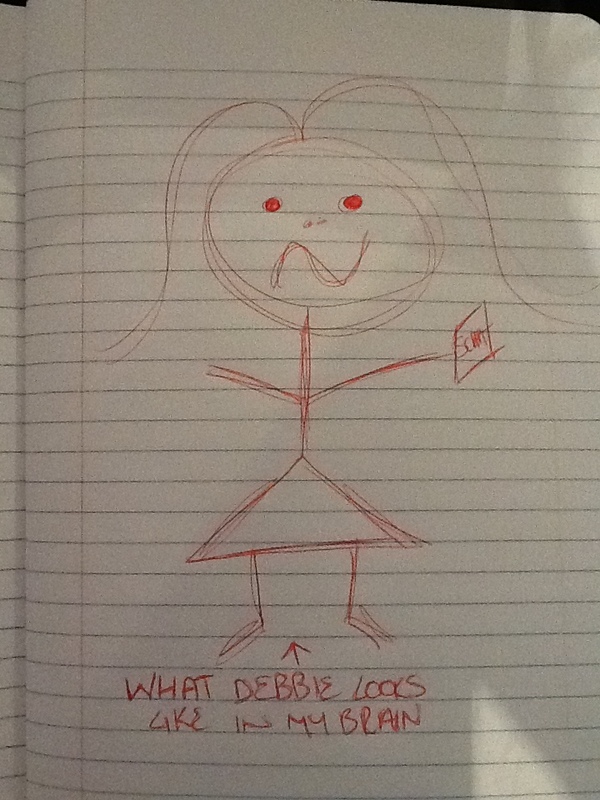 A person causing frustration: Debbie, stop being a Belter and get on with the line reading please. NB: Commonly mistaken in other parts of Scotland for a person who provides humour/ amusement. Used alone as a noun. Taken from the expression “For God’s Sake”: The lunch order will be late again! Sake! Used as an insult: Brian thinks his costume looks like Jobbies and is refusing to put it on. Another insult: I feel like a right Gooner for forgetting to bring my hole punch to this paper tech. Expressing anger: I wouldn’t go near the Director right now, they’re ragin’. Expressing sorrow: I wouldn’t go near Debbie right now, she’s greetin’ because I called her a Belter. Being affected by alcohol to the extent of losing inhibitions or morals. I think Barry is still steaming from last night’s after show party. Don’t go near him he smells like a distillery. A person of great beauty. Ryan Gosling is a weapon of a man. I enjoy looking at his face to calm me down during tech week. NB: often confused for an item intended to do great harm to others. I have no idea why this evolved into this phrase in Dundee. My hometown confuses me sometimes. (v) When a person turns red quickly because of embarrassment. Sam’s getting a minter because he just missed his cue for the fifth time today. (n) When a person’s behaviour leads them to be labeled as embarrassing. Please stop arguing with the inanimate dimmer switch Victoria, you are being a Minter. Brian has gone for a pure jobbie. Tech week is over. Let’s get pure steaming. *I have no idea who this fictitious Debbie is or what corner of my brain she has appeared from or why I seem to hate her so much. Please be assured she does not reflect any of my current company or anyone I have previously worked with. Let’s see if we can add to this list with some of your own hometown colloquialisms!